IDS Green: Recycling Toxic Things Does Not Make Them Green!!! Recycling Toxic Things Does Not Make Them Green!!! I just received yet another email for a "green" product that does much more harm than good. Those of us who practice sustainable design share a concern with what we call "greenwashing." 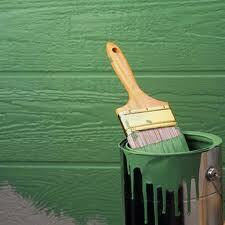 But the only way to make this particular product truly green would be with a heavy coat of paint. The company recycles billboards to make products for interiors --- floor coverings, furniture, and even placemats. But their web site proudly points out that the products are very durable because the billboards they use are vinyl. Vinyl products are very, very bad for people's health. And it's not just because the manufacture of vinyl releases carcinogens into our water and air. Products made with vinyl can be harmful to your reproductive health and your endocrine system. And the harmful substances that continue to release into the air from vinyl products also can affect even your unborn children.